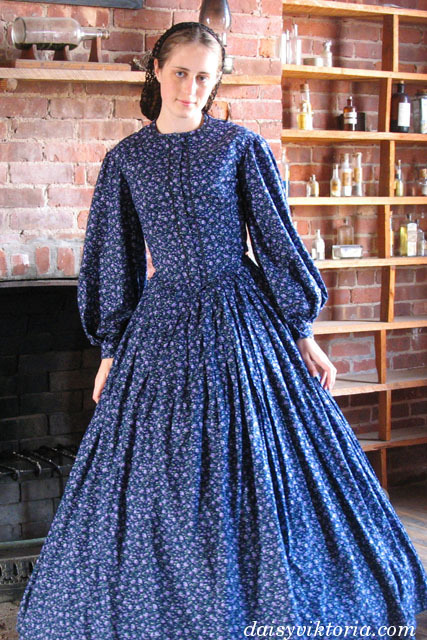 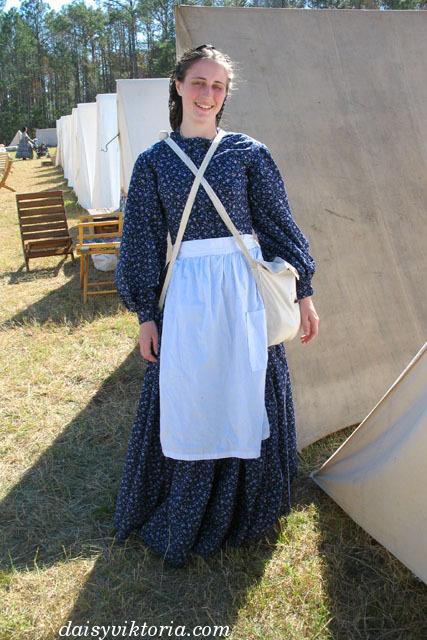 This is a day dress from the Civil War era. 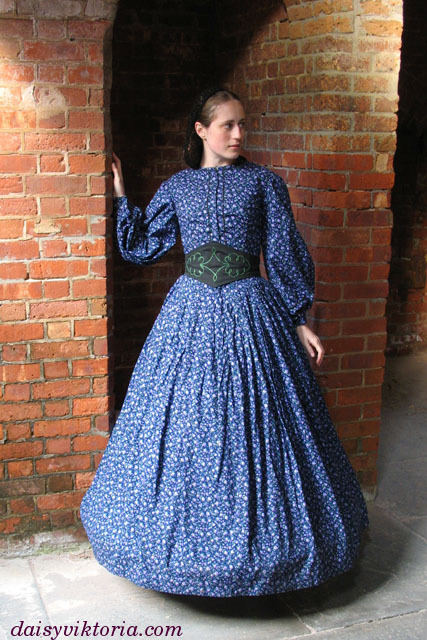 It is made of a cotton calico fabric, and there is some subtle trim on the edges of the bodice. 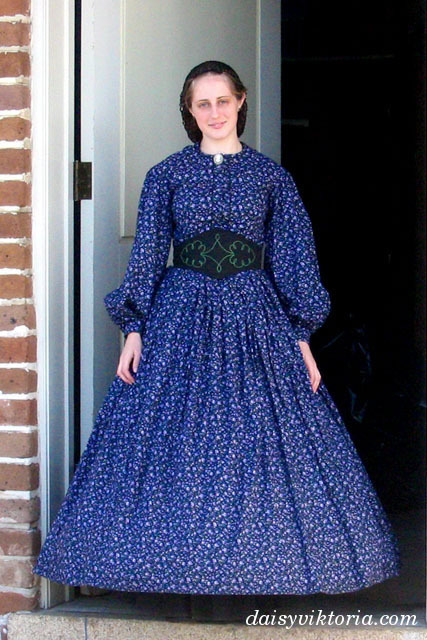 The belt worn in some of the pictues was also inherited from her collection of work.